Through play, children learn about themselves, their environment, people and the world around them. a chance to make new friends, play and join in fun activities. Our centre provides many educational programs to keep your children engaged, before they reach school age. Whitford Family Centre offers many different classes for children and adults alike. Request your free trial today! Our centre can help out organising your next function - whether it be a birthday party or a business meeting, we have got a room for you. Whitford Family Centre is a non for profit family centre supporting our community. The centre is run by a committee of volunteer parents who are involved with the children’s programs. Whitford Family Centre is a very welcoming place, with friendly staff and members supporting each other and the community. We offer free information sessions during the year and support non for profit organisations in subsidising their workshops held at the Whitford Family Centre. The centre is very proactive in obtaining various grants to further enhance our programs and facilities. 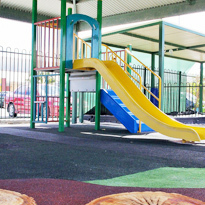 We have two pre-kindy programs for children 2 – 4 years old. The perfect ‘try before you buy’ scenario! Held every Saturday (excluding long weekends). Creative Playgroup is for families with children aged up to 5 years old. Providing care for your children before and after school as well as vacation care. Need to hold a meeting or host a birthday party? We welcome all bookings. Want to get more information about our family centre or would like to see it inside, feel free to schedule a tour.